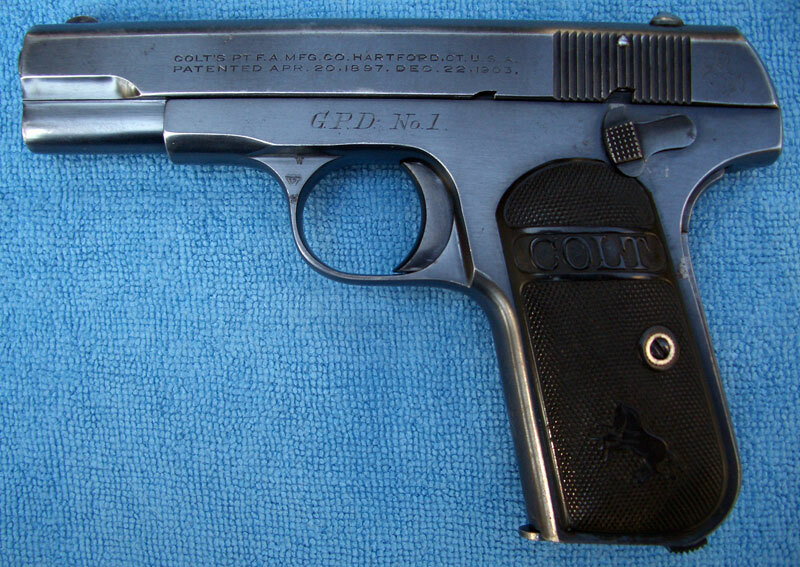 Model M .32 serial number 381489 with factory inscription "G.P.D. No. 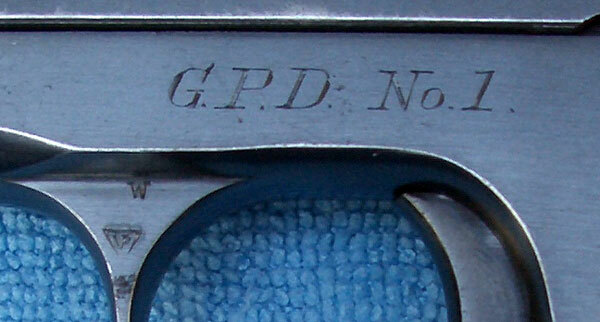 1" engraved (not roll marked) on the left side of the frame where the serial number is typically located. 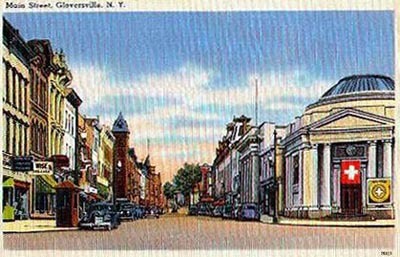 This was one of 13 guns shipped to the Gloversville, NY Police Department in the 1920s. It is interesting to note that in order to accommodate the location of the inscription, the serial number was factory engraved on the right side of the frame. Model M .32 serial number 381490 with factory inscription "G.P.D. No. 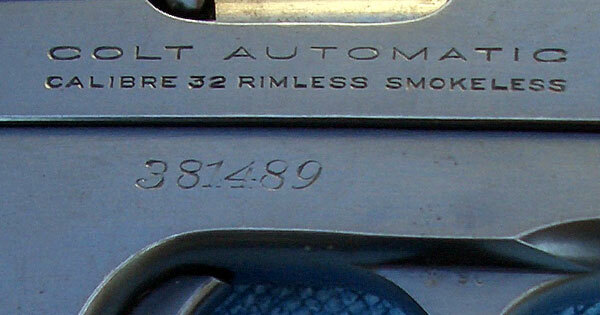 2" engraved (not roll marked) on the left side of the frame where the serial number is typically located. This was one of 13 guns shipped to the Gloversville, NY Police Department in the 1920s. It is interesting to note that in order to accommodate the location of the inscription, the serial number was factory engraved on the right side of the frame. 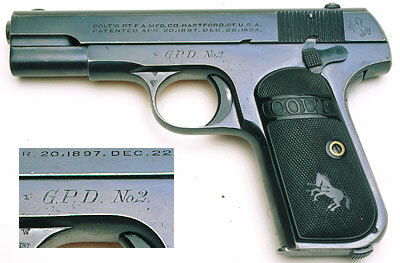 Factory letter for GPD marked Colt 1903 Pocket Hammerless .32 ACP indicates that the gun was one of 13 shipped to the City of Gloversville Police Department, Gloversville, New York on February 26, 1921. 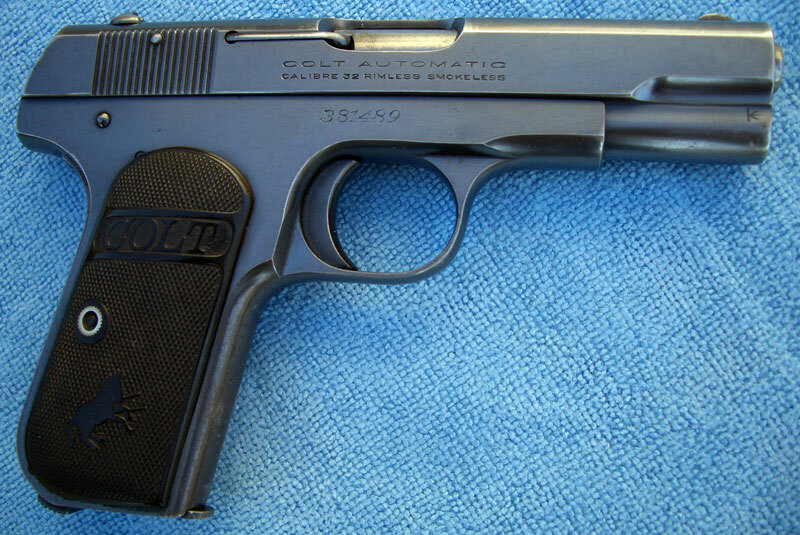 Processed on Colt Factory Order number 2604/13.